One of the newest educators at Sabin Elementary School in Northeast Portland is rarely in the classroom, preferring instead to meet with his students outside, rain and shine. That's because Julian Dominic's job is to get kids excited about digging in the dirt of the school's edible garden, observing the life of the soil through its bugs and biology, as well as learning to cook some of the produce they grow. A feature in the Sabin Community Association newsletter said that this winter Sabin's students will learn how soil is built by planting cover crops that put nitrogen back into the soil through succession planting. "We'll start with a cover crop of nitrogen-fixing plants such as fava beans, buckwheat or rye on a third of the 14 raised beds," Dominic said. "Then we'll plant winter-hardy greens such as spinach, chard and kale in the other two-thirds of the beds. Those will be covered with a hoop house to nurture the spring plants." 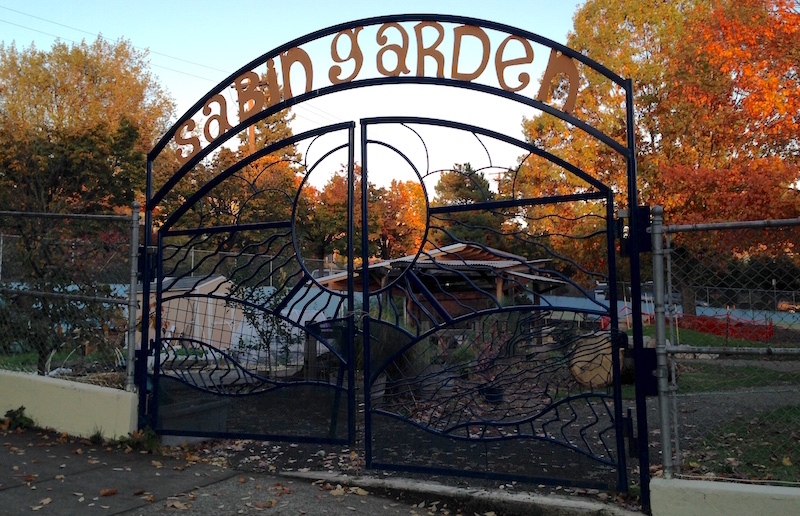 The article said that Dominic, whose position is funded through the school's PTA, is coordinating the garden curriculum to match the themes that the school's teachers are covering in class. There is a Taste of Thanksgiving fundraiser for the school's garden program on Thurs. Nov. 5th from 5 to 8 pm at Whole Foods on Northeast 15th and Fremont. Tickets are $5 for a full meal. With the average age of Oregon's farmers nearing 60 years old, it's hard not to worry about who's going to be growing our food in ten years. Luckily, it looks like it's not too late to turn the tide, according to a recent article in the Capital Press. 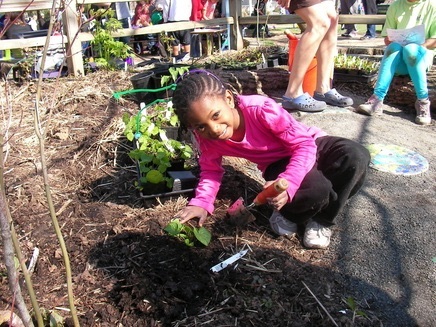 Many programs are offering prospective farmers the opportunity to participate in what are being called "farm schools" where they can learn not only how to grow vegetables, but how to write a business plan, invest in the right equipment and market farm goods through farmers' markets, CSAs and value-added products. 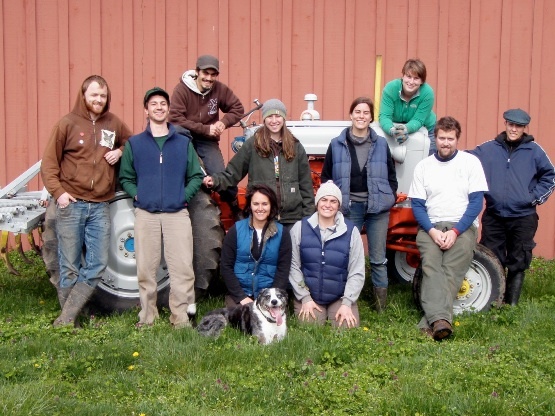 And those would-be farmers are flocking to attend workshops like the one-day small farm school sponsored by Oregon State University’s Center for Small Farms and Community Food Systems and schools like the one at Greenbank Farm (photo above) on Whidbey Island in Washington. "We have a generation of people in their twenties and thirties who are interested in going into farming as a business and as a statement of how they see the world," the article quotes Garry Stephenson, director of the OSU center, as saying. "One of the hopes we have is that they will eventually scale up and become medium-size farms." 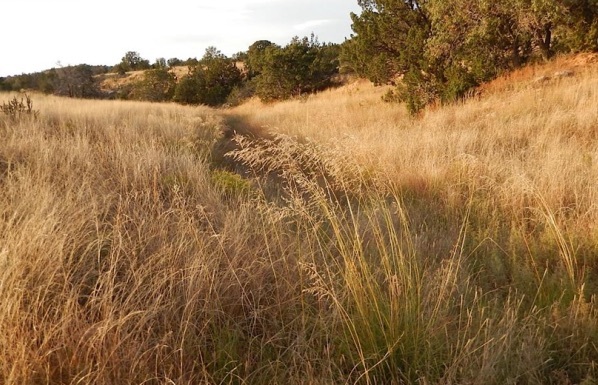 Rotational grazing—the farming method that builds nutrient-rich soil by moving animals between pastures, allowing the land to rest between grazing periods—is helping to restore grasslands even in arid states like New Mexico. This method also helps the soil to retain more moisture during dry periods, according to an article by food writer and author Deborah Madison for the website Civil Eats. It quotes rancher Nancy Ranney of Ranney Ranch in Central New Mexico as saying, “We don’t have to cut back so much on our herd count during deep drought, and we can build it back while other ranchers are still de-stocking.” Ranney added that rotational grazing has diversified the varieties of grasses growing on their land, which gives the cattle a wider range of nutrients in their diet. "In three years we went from four to five species of native grasses to 30, without planting seed or irrigating. Among them were cool season grasses, which people said we couldn’t grow. But every year we see a new cool-season grass come up," she said.